Alta gets a makeover! 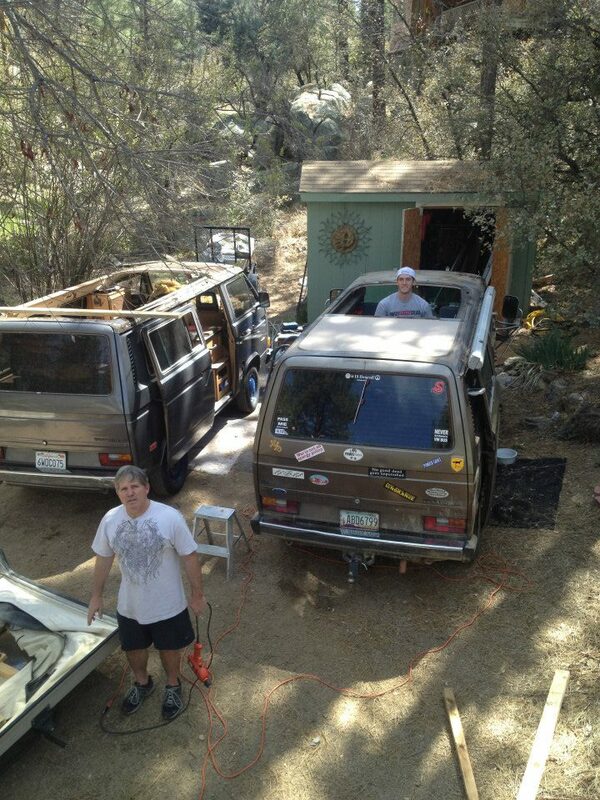 Creating a high-top Vanagon | It's not a slow car, it's a fast house! Towing the donor van home! Years of salt air grime! 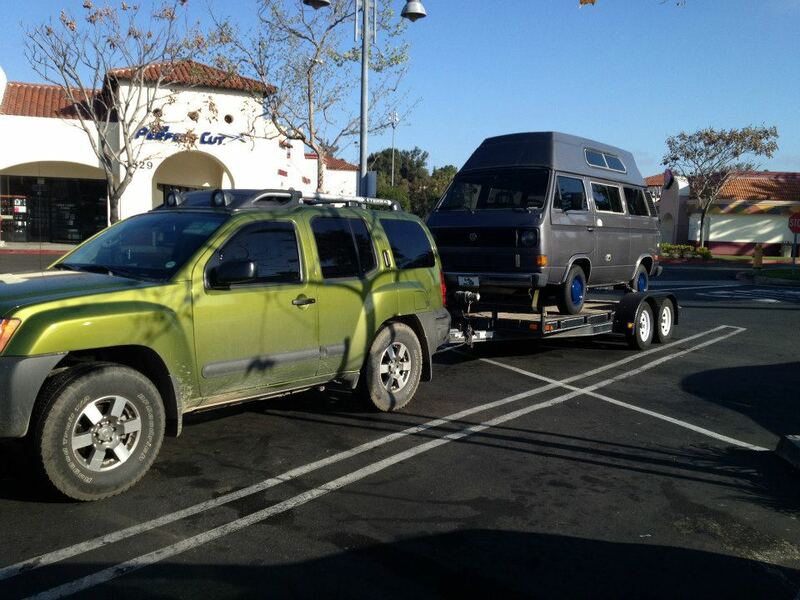 One of the biggest changes occurred when we realized that we would benefit from the ability to guerrilla camp in a VW. 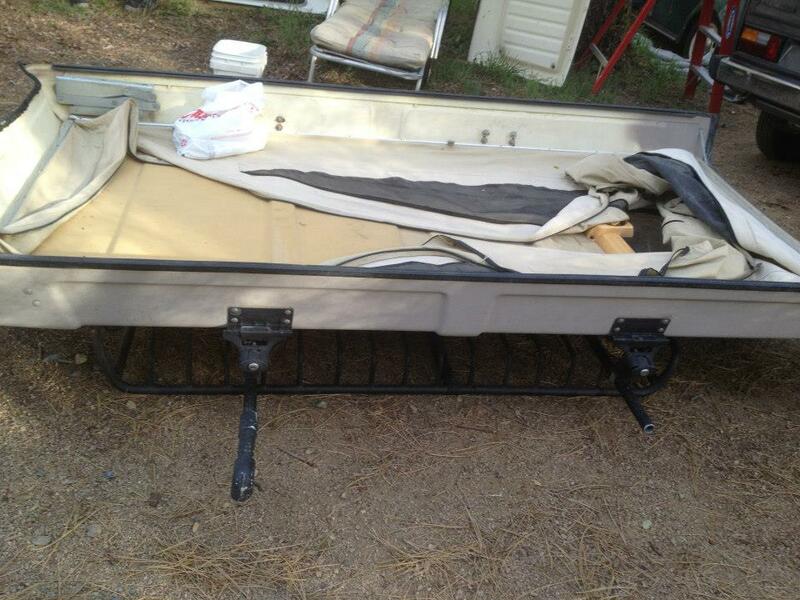 That meant being able to sleep inside, without having to pop the top. 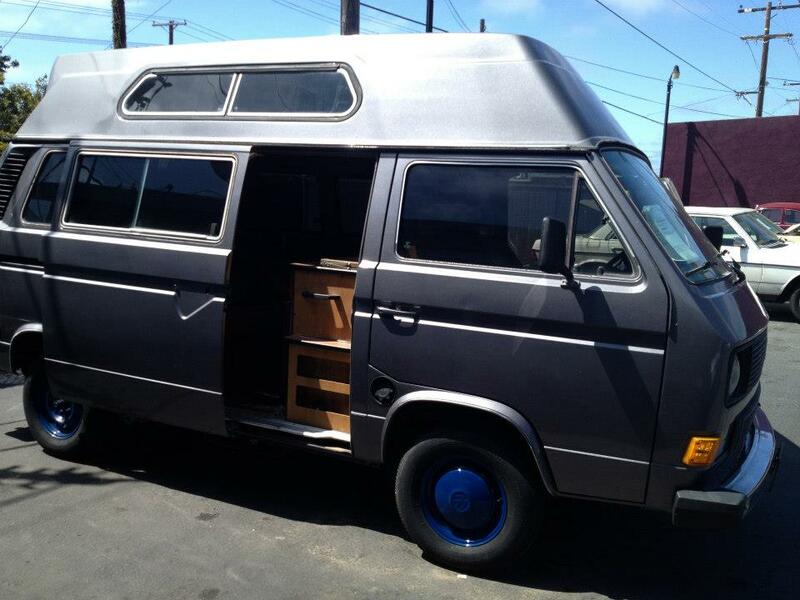 So we were on the hunt for a high top conversion kit. There are many makes and models of these, but they are expensive and hard to track down. There was a lot of research, emailing, calling and Craiglisting. Then we found it- a donor bus! We handed over the cash, loaded it on a trailer and towed it back across the Southwest desert to the mountains of Prescott, Arizona. Then the cannibalism began. This would require releasing 20 year old screws, gaskets, caulking and ocean-air grime from the high top seal on the donor AdventureWagen. That was messy work. 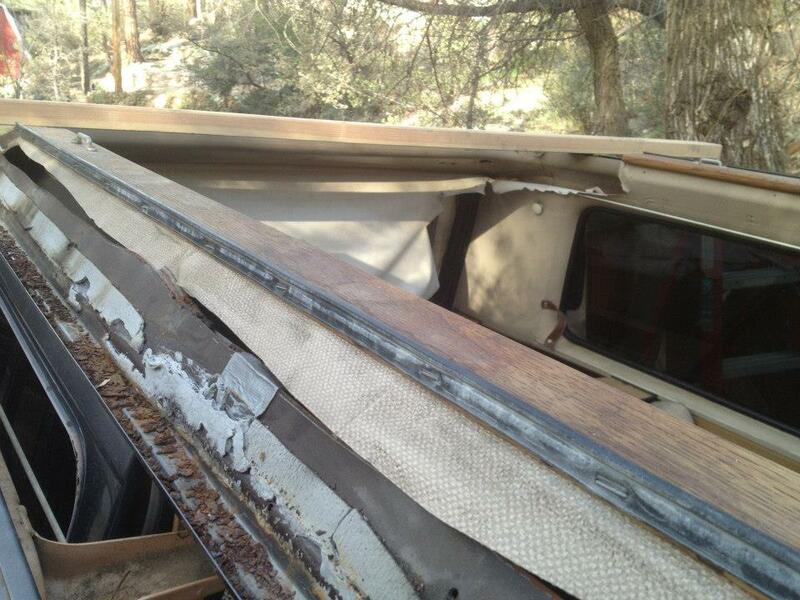 But we also had to remove the 20 year old pop top from the Westfalia. This was several days of hard work by Mike and Ryan! The final outcome was AMAZING!! 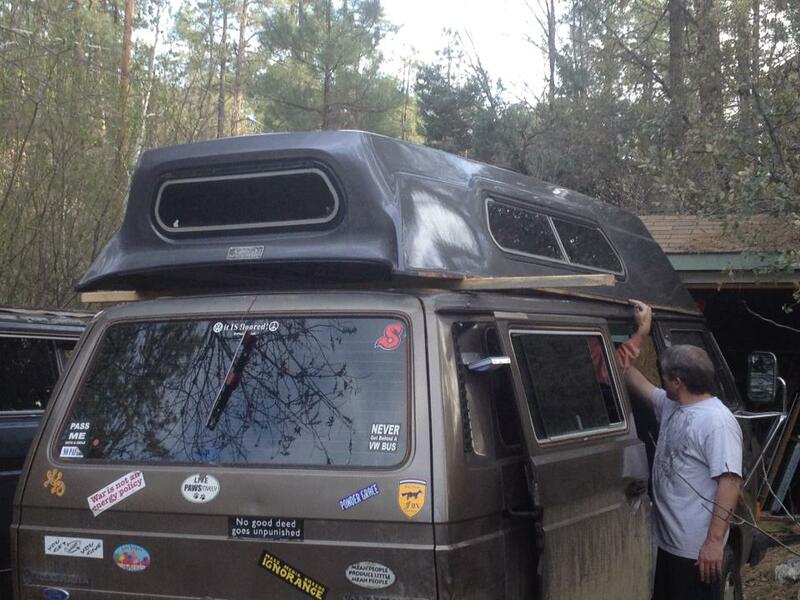 The pop top from a Westfalia is now on an AdventureWagen Vanagon conversion. 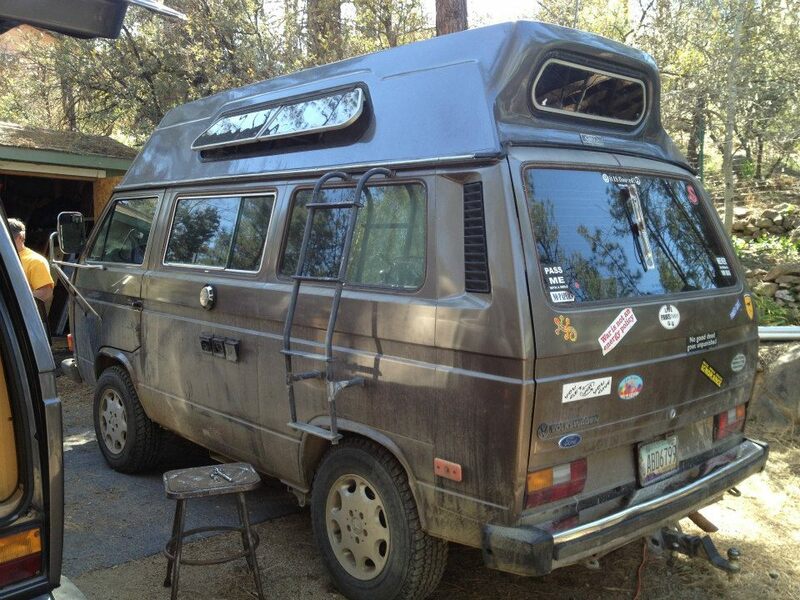 The high top from an AdventureWagen is now on a Westfalia Vanagon conversion. ALTA IS BORN!! !